Hey, you like Sengoku Basara? You know, those samurai games Capcom makes that are wildly popular in Japan and aren't exactly historically accurate? Well, good news. And bad news. The good news? 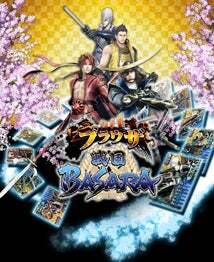 Capcom is making two new Sengoku Basara games. The bad news? They are a card-based mobile phone game and a browser game. Oh. In the card game, you try to assemble the deck with the strongest warlords. In the browser game, you cooperate with other players to enlarge your domain. The browser game is dated for this summer, while the phone game is "coming shortly".